A shower drain gets a lot of hair which tangles itself into a ball. This hair mess along with soap residue attracts all other wastes. This clog mass will increase in size over time and block the drain. This blockage reduces pressure in the drain, which is very essential for draining through the pipes. The type of clog depends on the water that you use too. The minerals in the water also causes clog. When you discover that your drain is clogged, you would already be in ankle deep water and things would get messy from there. Thus, it is important to clear out the gunk, as soon as possible. One of the most clogged drains in any house is the shower drain. 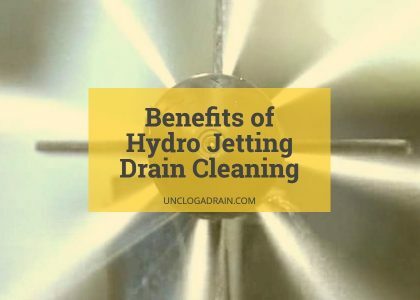 This article will talk in detail about a few methods which would help you to unclog your shower drain. Yes, you can also hire professional service providers like ASAP Drains, who can help you unclog shower drain. But before you call your plumber, try out these steps. These are the 10 best methods to unclog a shower drain. Click on any method to be directly taken to that section or keep reading. Sometimes, your drain strainer or stopper will be closed, due to the mineral deposit or due to the presence of hair. Using a screwdriver remove the strainer out. If you have the drain stopper styled drain, lift the drain stopper and you would find a screw underneath. Unscrew it and pull out the stopper. 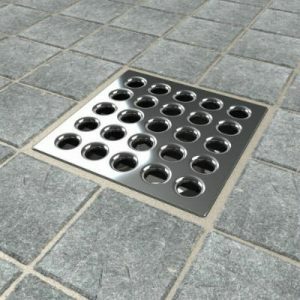 Once you have completed this step, you would be able to see the drain hole. If the water drains immediately after removing the cap, it refers to a blocked strainer. Clean the strainer with soap or use a small pin to remove the mineral deposit in the holes. If the water is still stagnated, use a flashlight to check the drain hole, to see what is blocking. Hair may get tangled around the drain hole, closing the opening for the water to drain. If you find any hair at your hand’s reach, remove it after wearing gloves. If you are not ready to put your hands into the drain, there are other methods to help you to unclog shower drain. You can simply use a small hook to pull out the hair. All these methods work under the same principle. Your aim is to pull out the gunk of hair which is blocking the way. A plumber’s snake or auger is a long wire with hooks, which would make the hair to tangle with the wire. The first step is to drain the water. There should be no water in the drain for this method. You can either wait for the water to drain or use a mop to clean up the area. Open the strainer or stopper as stated before. Feed the snake or the auger into the drain hole. Once you feel the resistance to movement, stop feeding the wire. This is the place of the clog. Start rotating the wire in one direction and as you give a little pressure to the wire. Without stopping the rotational movement, pull the wire out. The gunk of hair and other waste would be pulled out along with the wire. Do not push the clog deep into the drain. You can also unbend your wire hanger and use it as a wire. Do not force the wire into the drain. You would crack or break the pipe leading to serious problems, which may need a complete replacement of the pipeline. There are power augers available in the market. They are electronic version of the augers. It would be useful if the clog is present very far away from the drain hole. Chances of damaging the drain with a power auger are very high. Thus, it is better to leave such methods with professionals to unclog shower drain where clogs are deep down from the opening. Drain stick is very similar to that of a snake. It is a slender, long and flexible rod with barbs in one end. This barbed stick can be bent and twisted as needed. Insert the stick into the drain after removing the stopper or strainer as mentioned before, in this article. Once you feel the resistance, rotate the stick so that the hair gets tangled in the barbs. This method will be very helpful to remove any remaining hair chunks on its way up too. They are less expensive than most of the other mechanical methods. The chances of damage to pipelines by using this method are very less. This is also a very good preventive measure. You can use the stick once in a while in your shower drain to remove any hair chunk, before they form a clog. This method will work effectively only when the clog is mostly made of hair. In case of any other metal or plastic waste inside the drain, this method would do no good. Using plunger to unclog a shower drain is another one of the best technique. Let the water run for a few seconds so that you would be having stagnated water around the drain. Place the plunger such that it would cover the whole drain hole. Push the plunger up and down several times. You can apply petroleum jelly on the sides of the plunger, if needed. Usually, you would hear a loud sound and find the water stagnated around you getting drained in high speed. This indicates that the clog is removed. In some cases, the clog and dirty water will rise up and then the water will drain in a very high speed. You have to manually remove the clog and not flush it back into the drain. Use snake to remove any remaining gunk from the drain hole, after using plunger. You can use this method as many times as you want to unclog shower drain. This method would not cause any damage to the pipelines. Do not use this method after using any chemical drain opener solution. The plunger would splatter out all the chemical solution inside the drain over you and your bathroom walls leading to hazardous situation. If there is any other drain in the bathroom, clog it up with a wet cloth. 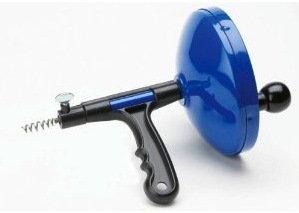 This will make the plunger work better as pressure would easily build up. Tilting the handle of the plunger would reduce the pressure and would render it ineffective. The stagnated water should be at least as high as to cover the whole rubber cup area of the plunger. Baking soda is a mild base. Vinegar is a mild acid. When you mix acid with a base, you would initiate neutralization reaction which would result in salt. This reaction would dissolve organic wastes and unclog the drain. Hair is an organic product. Once the hair is dissolved, there will be nothing to hold the other wastes together. Thus, it becomes easier for the water to push away the waste along with its flow. Wait for the water to drain completely. There should be no stagnated water for this method. Add a cup of baking soda into the drain after removing the strainer or stopper. Now, add any type of vinegar into the drain. Add same amount of vinegar as baking soda. Wait for the solution to react. Give it a few minutes to work on the clog and soap residue. Boil a liter of water and pour it down the drain. This is a very simple and effective method which can be used with any other mechanical method too. Using this solution would decrease the size of the clog and it makes plunging or snaking much easier. You can use this method as many times as you wish to unclog shower drain. It is also a good preventive measure. This method does not cause any problem to the pipelines and thus, is very effective. Read: How To Unclog A Drain With Baking Soda? Boiling water with salt will work as an abrasive and remove the soap residue which is holding the hair together. This method will make snaking or plunging very easy. Add a cup of any salt. Sea salt, table salt or any other versions of salt will work for this method. Add boiling water through the drain and wait for a few minutes. Now use plunger or snake. There are a lot of different types of drain openers in the market to unclog shower drain. Each one is marketed differently but, the main components in many drain openers are the same. Choose any brand that you find reliable. Read the instructions in the bottle. Follow them. Open the drain stopper or strainer and pour the liquid as mentioned. Flush it with lukewarm water or cold water, after the time mentioned. Do not mix any two brands of chemical drain openers together. Do not mix it with baking soda vinegar solution. Do not use any other chemical solution within a few hours from using chemical drain openers. If you want to use any other pressure method (plunger or vacuum) along with chemical drain opener, it is better to stick with snake or auger. Do not use hot water for flushing down the solution. Use either cold water or water, at the room temperature. Keep the drain opener solution away from the reach of children and pets. Though there is no pressure applied on the pipes, the chemicals would damage the pipes over time. Though the result would be unbeatable, it is better to use it as minimal as possible. This clearly indicates that chemical drain openers cannot be a good preventive measure. The best alternative to branded chemical cleaners to unclog shower drain is caustic soda. It has a good degreasing ability. It is easy to use and warms up the pipes, making removal of clog very easy. If you are able to get hold of diluted sulfuric acid, you can easily drain clogs made of organic materials. For metal and plastic based clog, try concentrated solution. Be very safe while using the concentrated version as it is very hazardous, if it comes in contact with our skin. There are many bacterial enzymes which feed on organic wastes and decompose them, at a very fast pace. The bio drain cleaners made up of such bacterial enzymes. They feed on the hair and multiply. With more bacteria, the speed of decomposing increases. This will lead to a chain reaction and soon your clog will disappear. Do not add hot water into the drain while the bacteria are under work. It would kill them. Do not add any solution including baking soda and vinegar, while it is under work. The bacteria will take a little time to work on the clog. Thus, use them overnight. This will give enough time for the bacteria. If any metal piece or accumulated soap residue is the reason for the clog, this method would not work. 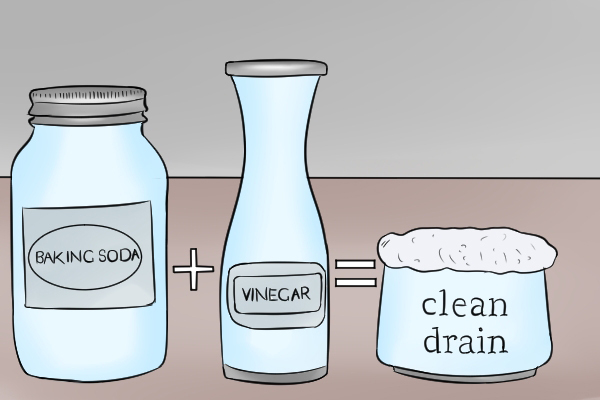 Read: What Are Drain Cleaners Made Of? This method is applicable only when your drain hole couldn’t be unclogged with any above stated mechanical method. If you are using a normal vacuum cleaner, make sure that the drain is completely dry. In case of wet vacuum, it is not a main condition. Once the clog gets sucked in, a growling sound starts. When the sound stops, it indicates that the clog is completely removed. Pour boiling hot water down the drain, after using the vacuum. These are high powered vacuum machines which are used if the clog is very deep down the drain. This is a very professional and complex machine and is better left to be handled by professionals. If you are looking for a high powered suction machine to unclog shower drain, there are many rental hardware stores. Here are a few tips, before you start using this machine to unclog shower drain. Do no wear any loose accessories or clothing, while using this machine. Learn to use the foot switch, emergency stop and other mechanisms before you actually switch on the machine. Have a helper near the main switch for any emergency help. Measure the diameter of the drain hole and choose a hose which would fit through the drain hole. If you choose larger hose, it would cause wear and tear while you feed in and out and this may cause cracks in the pipe. Attach the hose to the machine and try feeding in and out of the drain without switching on the machine. Now, switch on the machine and you would hear a loud hollow sound. This is the sound of the motor, when it is not sucking anything. Feed the hose into the drain pipe slowly. If you feel resistance to the hose, switch on the suction. You would hear a different sound. Once you hear the hollow sound again, switch off the machine. If you are not able to hear that hollow sound within a few seconds, stop suction and let the machine cool, before you proceed again. The chances of damaging the pipes with this method are very high. This is why you need a professional to work on such a machine to unclog shower drain. Before you start with vacuums and suction machine, try checking your roof drain. 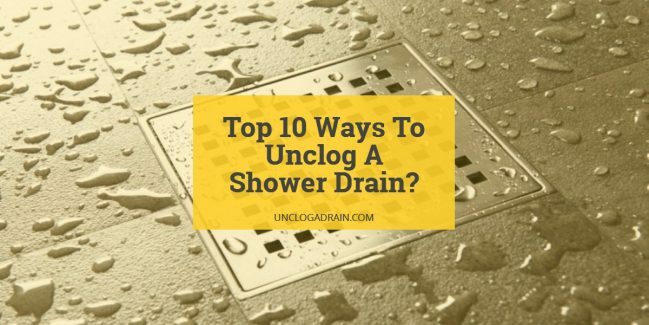 If the roof drain is clogged, it would clog the toilets, sinks and other drains. If the water drains with a gushing sound, it indicates probability of a roof drain clog. Take a roof drain brush and push out the clog in the drain. Now, try the shower drain. For the water to drain, pressure inside the pipe is very essential. If you end up cracking or breaking the pipes with some mechanical method, it would lead to restricted drainage, even after you unclog shower drain completely. This would need complete replacement of the pipes. The clog is not the only reason for reduced speed of drainage. Cracks and leakage in the pipeline can be the main reason apart from clog. Improper installation of pipes can also be a reason. These can be identified and repaired only by professionals. If your wire hanger or hook gets stuck in the middle, do not pull or wriggle with force. This would lead to damage, to your pipes. Avail the services of a professional. There are a lot of professional service providers around you who can help you unclog shower drain and you can choose the one that you think is reliable. You can use any two methods in combination unless mentioned not to. If a method works in a drain, it does not mean that it would work always. Based on the type and location of the clog, the optimal method would vary. You are welcomed to try each and every method one after another. Regular preventive measures are very essential as you cannot stop hair and soap residue getting drained through the shower drain. Repeated use of any mechanical method would cause wear and tear. Stick with any simple method every now and then to avoid clogs from forming. 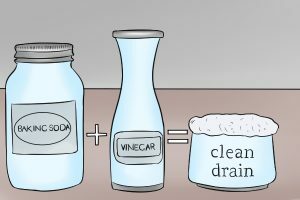 How To Unclog A Drain With Baking Soda? Your tip is really helpful for use shower drain. Thank you for share a beautiful tip for the people. Much thanks to you for posting this extremely valuable tips on treating clogged drains. These are exceptionally useful since each house is encountering this pipes issues. I don’t have the foggiest idea about that vinegar and baking soda is additionally use for unclogging drains, I just knew and I am utilizing the high temp water treatment. I should attempt it at whatever point I’ll be encountering clogging. I should share this extremely enlightening article to my companions.